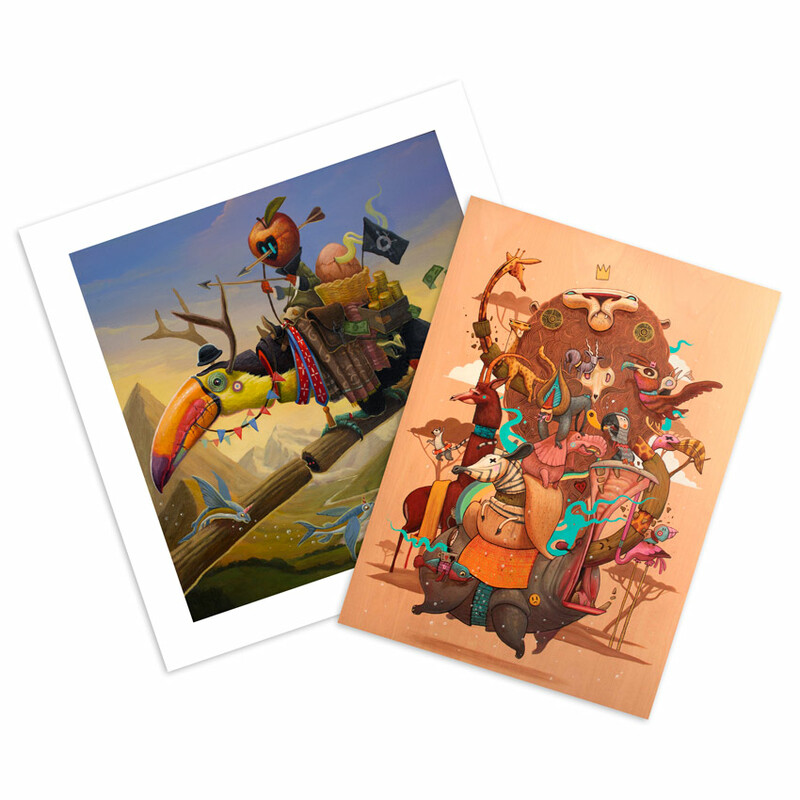 We welcome in Spanish artist Dulk who makes his debut with The Poacher alongside his self-titled book The Dulk. 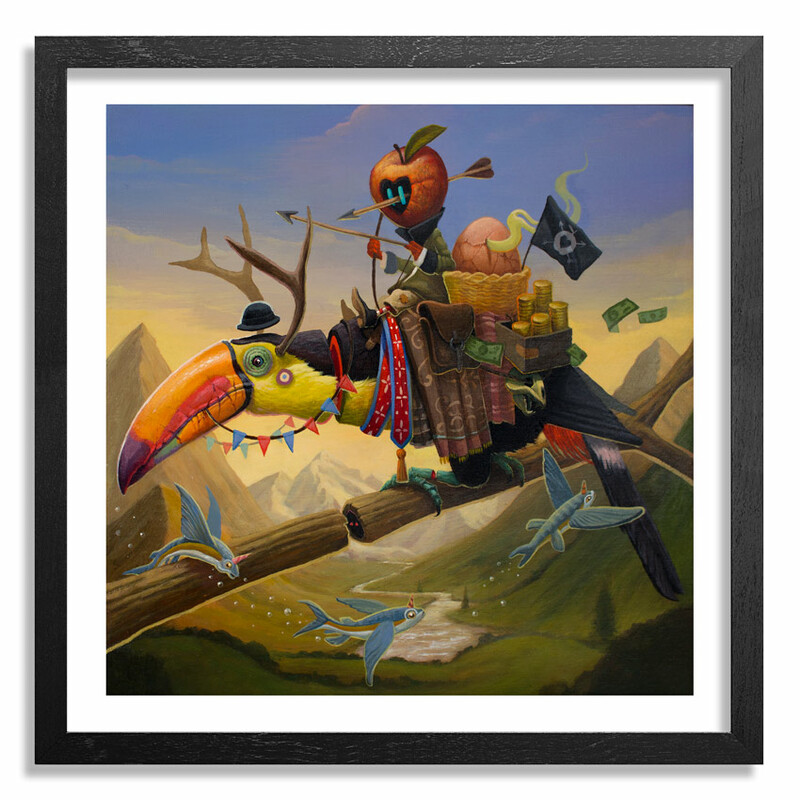 With his latest print Dulk weaves a narrative of a poacher riding his dismantled prey, all masterfully crafted with acrylics. An avid nature lover, Dulk strives to showcase animals in their natural habitat, but always invites the viewer to look for a deeper meaning in his work, in this case a dark and sinister scene is camouflaged with bright and vivid colors to lure the viewer into to taking a second look. 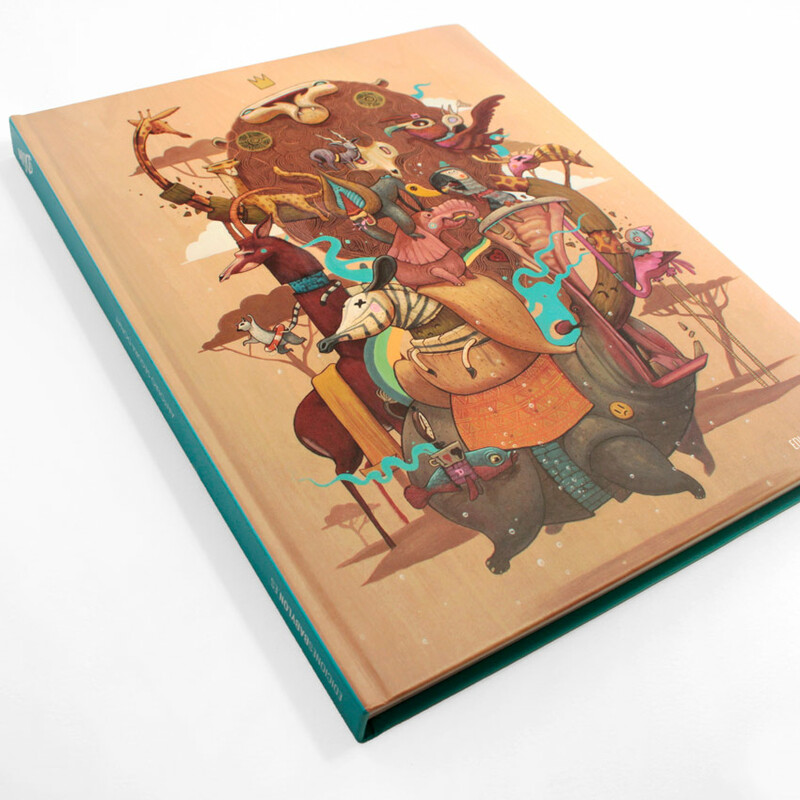 Read on as Dulk gives us the story behind this intricate print, his book and lots more. . . 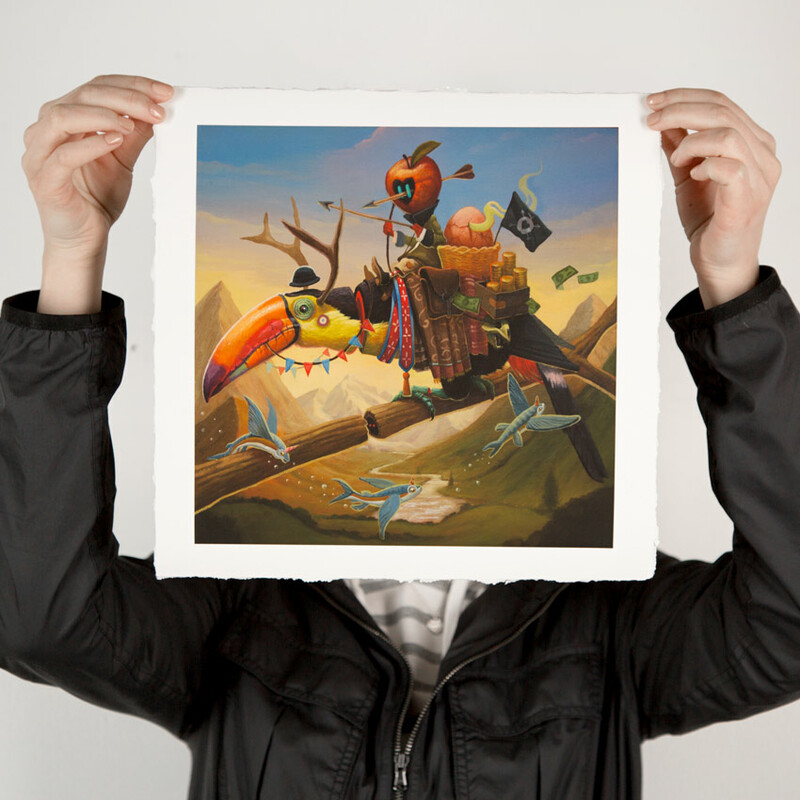 This RUN comes signed, numbered and with a Certificate of Authenticity from Dulk and 1xRUN. PLEASE NOTE: Each print in this RUN is pulled from its respective edition of 50. Each book in this RUN is signed by Dulk and includes a unique custom drawing on the inside cover which may vary from the images shown. 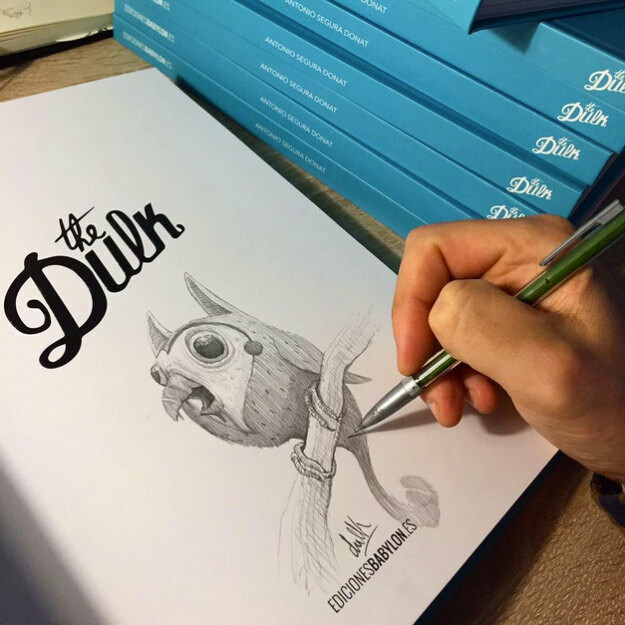 - (1) The Dulk Signed Artist Book With Custom Drawing. As a child, Antonio Segura Donat (Dulk) helped his father to feed the birds they reared at their home. He loved watching the fledglings and seeing them grow, as well as the fish, dogs, and horses that lived on the property. When he wasn’t out and about, he copied illustrations of exotic animals that he found in his parents’ collection of old enciclopedias. And he took his sketchbook with him everywhere from then on. At the age of eighteen, a close friend persuaded him to tackle the walls of the city and suggested he take the pseudonym of Dulk. 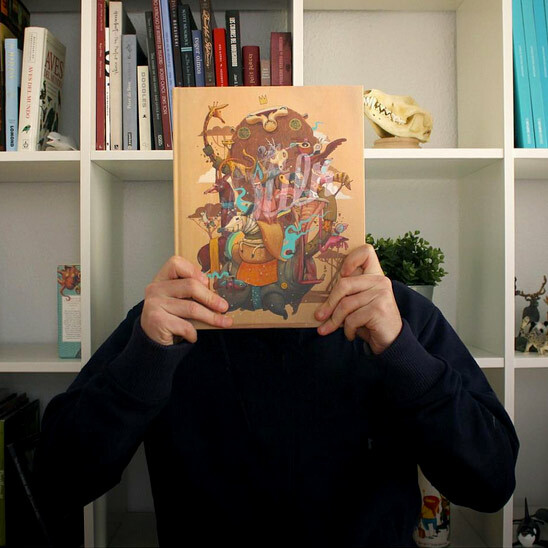 He then started a diploma in economics, but dropped out in the first year to study illustration then graphic design at the University of Valencia. Today, Dulk is an all- purpose artist. Between urban art, drawing, painting, sculpture or advertisment, each médium is a challenge that he takes up with pleasure and determination. He participated in a lot of group shows around the world in cities as Vancouber, Miami, New York, Brussels, Paris or Chicago. Always looking at things from the same innocent viewpoint that he is so fond of – That of a child- the artist create a tragi-comic animal themed works in organic colours. His world is a surrealistic landscape full of imaginary details, rising up in factions against humans. Maybe they are wanting to warn us of Earth’s bleak future following an environmental catastrophe. Follow Dulk on Instagram @dulk1 and Facebook.